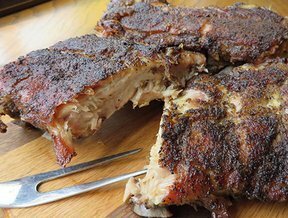 Moist-meaty ribs seasoned just right! Prepare these tender ribs at your Labor Day backyard barbecue or for any special gathering of family and friends. Whenever you decide to prepare them they are sure to be a hit. See step-by-step instructions on how to make delicious savory beer can chicken for your Labor Day get-together. Potlucks are a great way to enjoy delicious dishes for any celebration. See tips on hosting the perfect potluck.